With a couple of Chatham Park’s major planning elements down, the Town of Pittsboro will next tackle tree protection. The discussion began in earnest at a town board meeting on Jan. 14, and it started with Jeff Jones, the town’s planning director, expressing audible doubt over Chatham Park’s stated goals. Chatham Park had given the town its plans for existing tree preservation and protection on the more-than-7,000-acre site in 2017. The town told Chatham Park at the time to find a different strategy. Jones said that the developers’ new tree protection element, a set of ordinances, reflected the town’s Unified Development Ordinances, which are still in the draft phase. The new plan utilized percentages of tree protection based on tree coverage. Chatham Park’s plan, Jones said, most closely resembled that of the City of Durham. 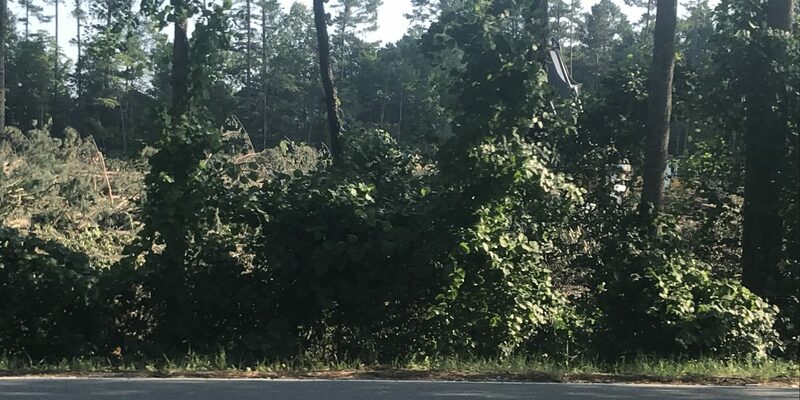 The plan calls for Chatham Park to keep 20 percent of existing trees on residential lots and 10 percent on non-residential lots in most areas. In the Villages areas, the Park would retain 3 percent on residential lots and 10 percent in non-residential lots. Jones said Durham has zero percent saved for tree protection in urban areas. The comment was not addressed by the board, town staff or members from WithersRavenel, the architectural firm representing Chatham Park at the Jan. 14 meeting. Commissioners Bett Wilson Foley and John Bonitz, both of whom have raised questions over Chatham Park in the past, expressed concerns over the element. Commissioner Michael Fiocco said the current element plan would locate tree cover “off-site” and more street trees would be included, particularly in the non-residential areas. Bonitz said he appreciated the desire for flexibility, but argued for the multiple uses for tree cover. The discussion continued at Pittsboro’s board meeting this past Monday, during which five residents addressed the board during the public comment session. 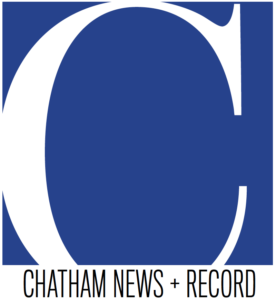 The speakers expressed concerns that the percentage of tree canopy included in the additional elements for the Chatham Park development were inadequate and unacceptable. Speakers had concerns that replacement trees would not be enough to replace the mature wood and specimen trees that may be removed to allow the project. The speaker comments sparked a discussion among the board members, particularly Bonitz and Fiocco; but there was no resolution or vote taken regarding the tree requirements. Attached to the agenda, however, as a “for your information” item, were recommendations for a tree protection ordinance. The item was not discussed; but the recommendations indicate that areas in the downtown Pittsboro region would require 15 percent tree canopy coverage while new mixed-used developments would require 30 percent tree canopy coverage. In addition, the percentage of tree canopy coverage would increase as lot sizes increased starting at 20 percent for lots under 10,000 square feet and moving upward to 60 percent canopy coverage for lots over 80,000 square feet, according to the recommendations. The board will continue discussions over the next few meetings, with no current timetable for a decision.